On March 6, 1988, Constable Hugh Galt Lynn was assigned to traffic patrol duties on the Don Valley Parkway when he pulled over a car for speeding. Constable Lynn was standing on the shoulder speaking with the driver of the stopped vehicle when he was struck by a northbound car. 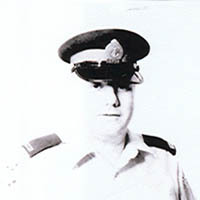 Constable Lynn died from his injuries.